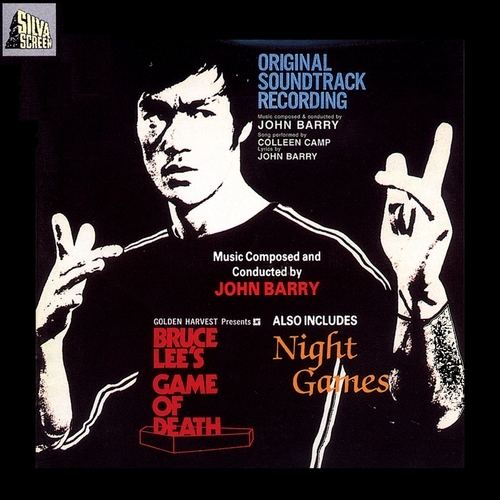 Originally released by Silva Screen Records in 2003 to commemorate the 30th Anniversary of the the death of the martial arts legend, Bruce Lee. The CD includes John Barry’s rarely heard music for Roger Vadim’s soft-core classic Night Games. Born 27th Nov 1940 and died mysteriously 20th July 1973 - Bruce Lee is the greatest martial artist of the 20th Century. Game Of Death began filming in 1973 but was halted to film Enter The Dragon. Lee tragically died before Game Of Death could be completed. Filmed sequences and outtakes from earlier films added to newly shot footage of a Bruce Lee double were assembled and released as Game Of Death in 1978.